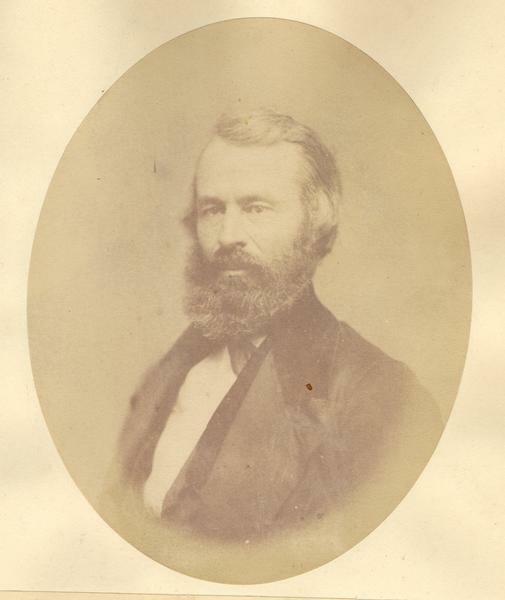 Quarter-length oval portrait of Nelson R. Norton. He was born in Hampton, Washington County, New York, on November 8, 1809. Norton came to Chicago on November 16, 1833, and later resided in Wisconsin. He was a democratic member of the Wisconsin state assembly in 1854, and built the first schooner on Lake Michigan.